Today’s photo of the week is of a kākā popping in to a summer party on a balcony in Wellington City. The population of kākā in the capital is increasing thanks to the work of conservationists and Wellington wildlife sanctuary Zealandia. The success of restoring native birds to cities is bringing those birds into increasing conflict with humans according to Victoria University’s recent research. Kākā, pukeko and red-billed gulls were found to be the species most likely to encounter problems in cities. The research has helped to identify these species and will mean emerging problems can be monitored and addressed. This photo was taken by Phillip Capper. I’m not sure that anyone has come up with a term for a group of penguin biologists (however a group of penguins is called a “waddle”), but whatever it is, one was recently sighted in Oamaru at the biennial Oamaru Penguin Symposium. Around 60 researchers, conservation managers, and fieldworkers from DOC, Trusts, eco-tourism ventures and the community turned up to hear a variety of papers on the biology and conservation of New Zealand (and occasionally Australian) penguins. 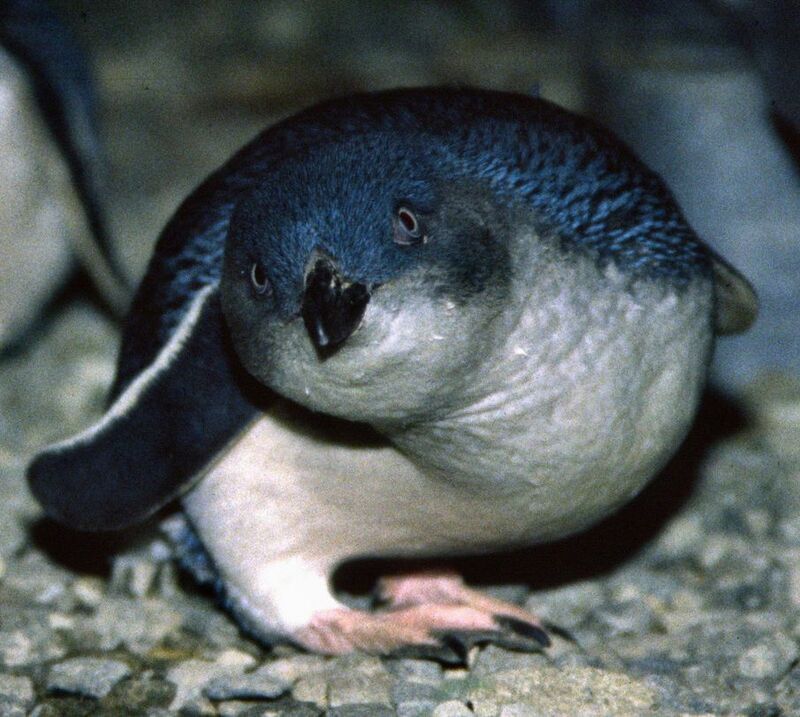 14 years ago I attended the first symposium and it was all about sharing with the Oamaru community what we had learned about the impact of tourism on blue penguins at the nearby Oamaru Blue Penguin Colony. Today the symposium covers all the penguin species of the New Zealand region and attracts an Australasian audience. Actually, except for the continuing increase in the blue penguin population around Oamaru and the apparent stability of Snares penguin population, the news for other species wasn’t that good. Yellow-eyed penguins had an OK year in Otago but on Codfish Island (off Stewart Island) a continuing decline has us puzzled. 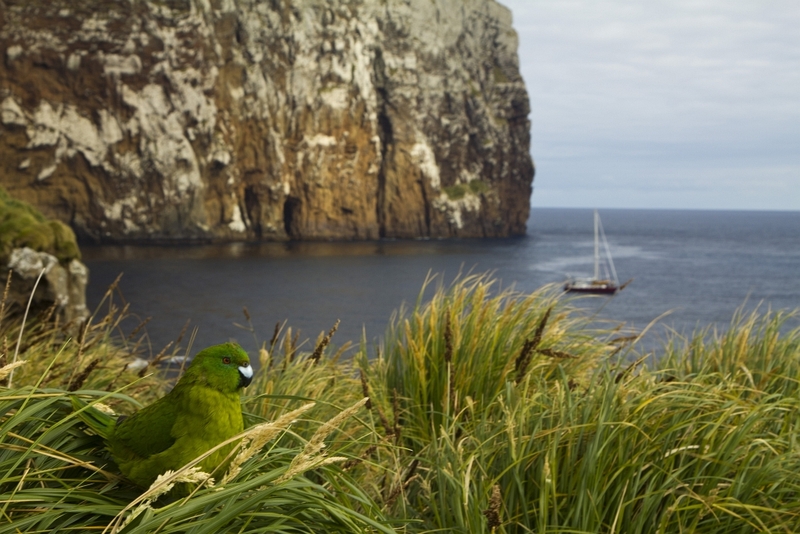 Out on the remote Antipodes and Bounty Islands things are not great either with significant declines noted in the erect-crested and rockhopper populations. Fiordland penguins have proved tricky to count, but despite the development of new, more accurate methods, the news isn’t great. In most cases we just don’t know. Changes in food availability, perhaps related to natural or man-made climate variations, are a probably the most significant factor in current population declines, but we understand the how and why poorly. The impact of fisheries in both bycatch and influencing prey availability is equally poorly understood. Research in these areas is time consuming, difficult and hard to fund, so progress in understanding it is slow. 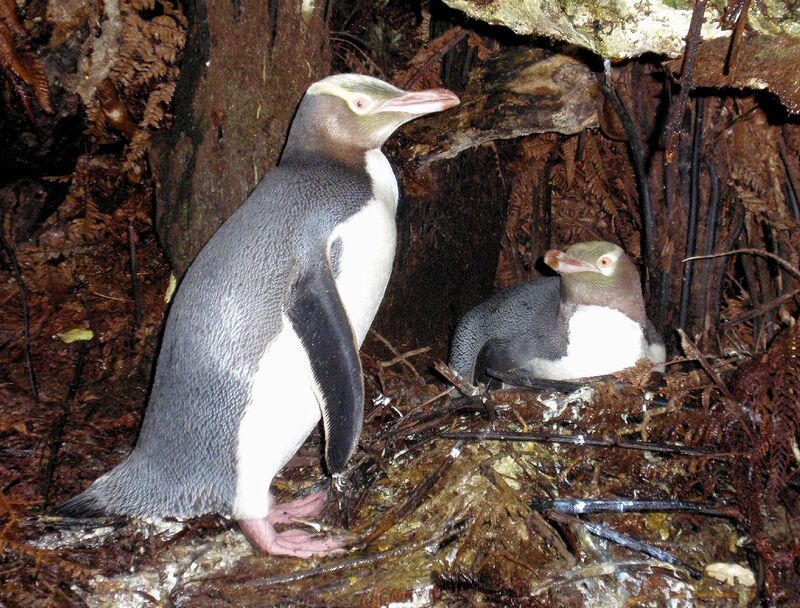 A lot of the management of blue and yellow-eyed penguins in the terrestrial environment is undertaken by trusts, community groups and even commercial enterprises. 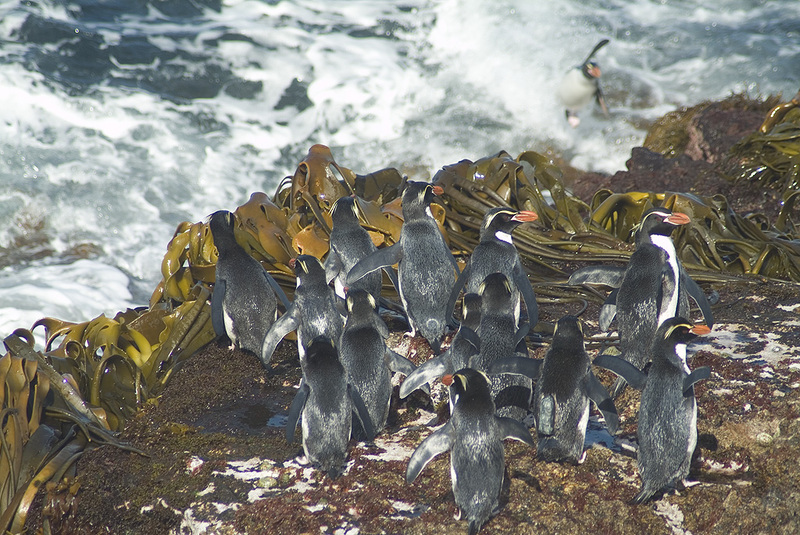 These groups, along with DOC, have been successful in managing many mainland sites on which penguins nest; protecting habitat, controlling predators, educating the public and carrying out research. Despite their good work much remains to be done. 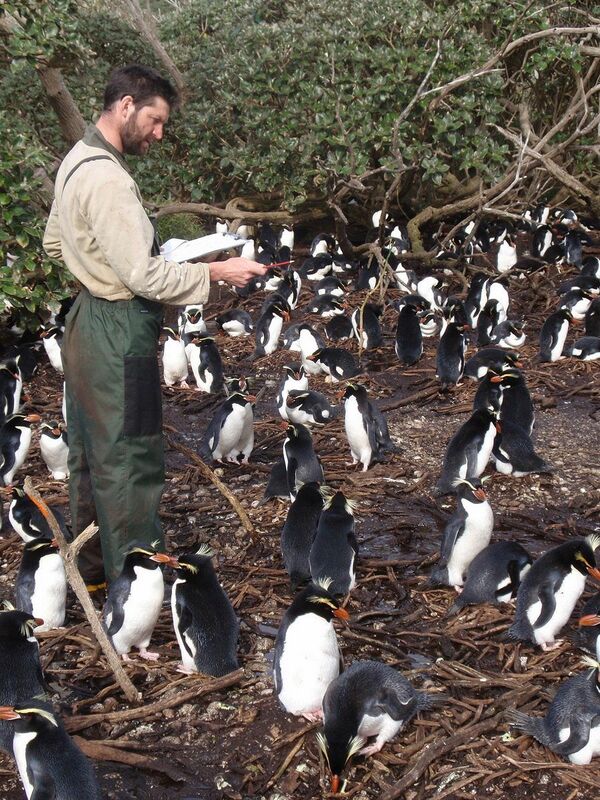 More collaboration between community groups, universities, businesses and DOC is required to help understand and resolve the many issues affecting the long-term viability of our penguin populations. 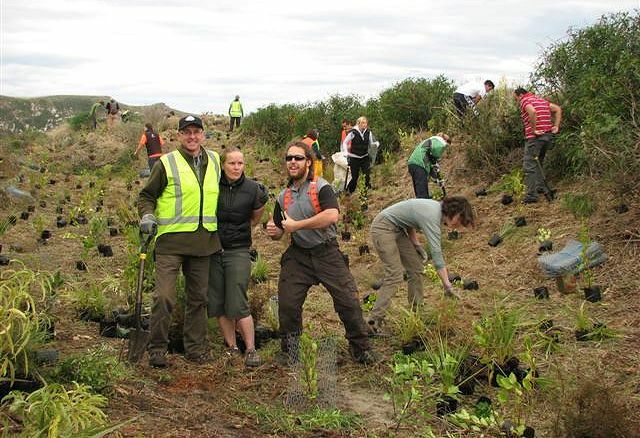 Maybe you’ll join me in Oamaru in 2014 to hear what progress has been made.